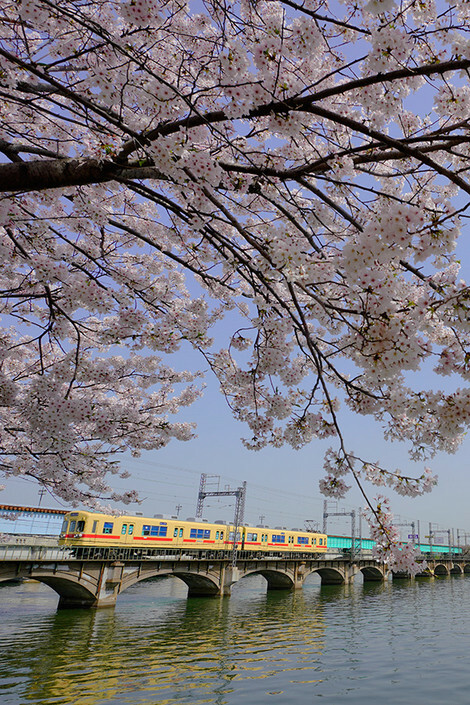 It is a cute train of Nihsitetsu-Kaiduka Line that the train running slowly under the cherry blossoms. I love the cute and retro head lights. The yellow body is well matched the pastel spring pink.